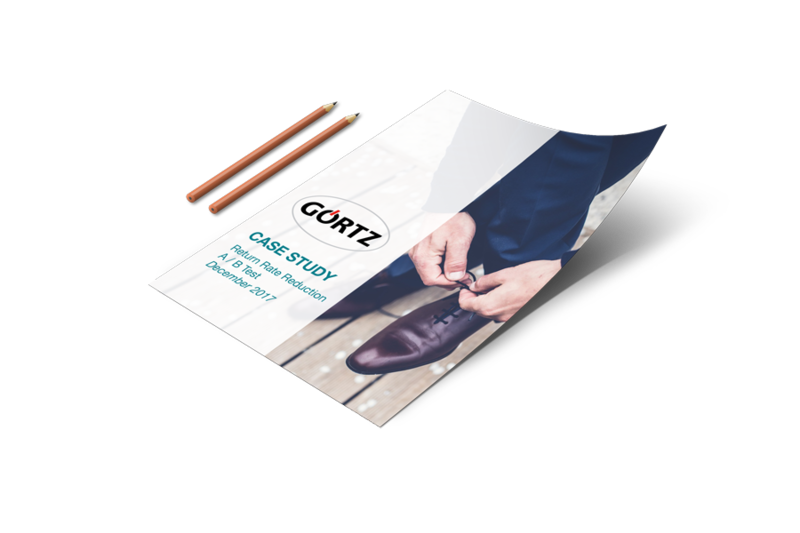 Find out how we helped boost the business of the 3rd largest footwear retailer in Germany. We took part in an independently controlled A/B test with the service provider konversionKRAFT, chosen by Görtz. The German retailer took advantage of the ShoeSize.Me Size Advisor® to get a revenue increase of over €500.000 per year. The A/B test results show ShoeSize.Me as the most effective solution out of 4 options. "... ShoeSize.Me came out as the clear winner and it significantly reduces returns..."
The ShoeSize.Me Size Advisor® empowers you to sell the right shoes to each shopper, worldwide. Our intelligent platform continuously cross-references any shoe model on every international scale in our global product database. You will finally sell shoes in the right size, reduce return rates and increase your net revenue.